Countless Silver Spring residents live for years with recurring chronic migraines, believing that they are simply predisposed to having severe headaches. But did you know that a major cause of chronic headaches is temporomandibular disorder? 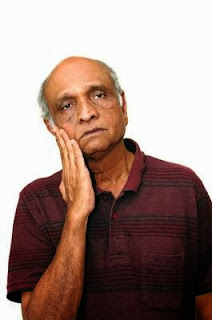 TMD is a very common condition that affects many people. Unfortunately, it frequently goes without diagnosis because its sufferers simply don’t make the connection between head and neck pain and the smooth functioning of their jaws. In this four-part article series, an experienced Silver Spring orthodontist will be talking to us about TMD: it’s causes, symptoms and treatment options. Just like a well-oiled door hinge, for example, this joint should allow your lower jaw to articulate smoothly and easily from left-to-right and up-and-down. By controlling the motion of the lower jaw, the TMJ enables you to speak, eat and yawn. Sometimes, however, it doesn’t articulate smoothly and when there is a problem with the joint, the surrounding muscles and ligaments can take strain and become inflamed, stiff and painful. 1. Bruxism (teeth grinding) and jaw clenching strains the TMJ and can lead to inflammation of the joint and the surrounding muscles and ligaments. 2. Stress can indirectly cause TMD through jaw clenching, teeth grinding and from tightening the facial muscles. 3. 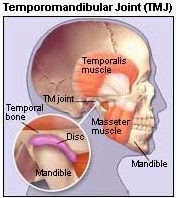 Physical injury to the TMJ, the jaw itself or the surrounding muscles from, for example, whiplash in a car accident, can cause TMD. 4. Conditions such as rheumatoid arthritis and osteoarthritis. These can affect the joint connecting the mandible to the temporal plate of the skull. To find out what the Silver Spring dental implants professional has to say about the symptoms of TMD, stay tuned for the second installment of this four-part article series!